Niva Kiran Verma has obtained her PhD in Remote Sensing based allometric model development for scattered eucalypt trees of Australian farmscapes from School of Science and Technology of the University of New England (UNE). She is working as team member in Precision Agriculture Research Group (PARG). Her research interests include LiDAR data analysis, Very High resolution remote sensing data and its applications. Niva is interested in object based image segmentation and analysis, image fusion etc. with expertise in softwares like Definiens and ENVI. She was a part of sugarcane yield estimation project which she was involved in analysing hyperspectral radiometer, airborne and satellite data for sugarcane yield forecast studies. She worked as a Lecturer (2004-2006) in Civil Engineering Department of Adama Technical University, Ethiopia, and was involved in teaching remote sensing and GIS to under grads. 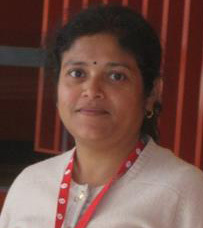 She also has experience of working as Project Scientist (GIS and Remote Sensing) (2000-2004) in Remote Sensing Application Centre (RSAC), Uttar Pradesh, and Senior Project Fellow (1999-2000) in National Environmental Engineering Research Institute (NEERI), Nagpur, India.